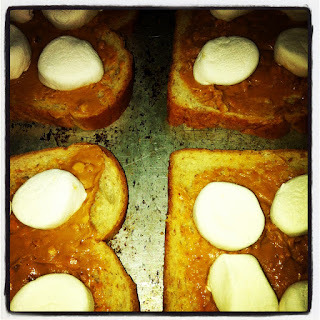 A long Random Thought ago, I mentioned Sticky Will Toast but without pictures. How about we fix that with some Instagram love. 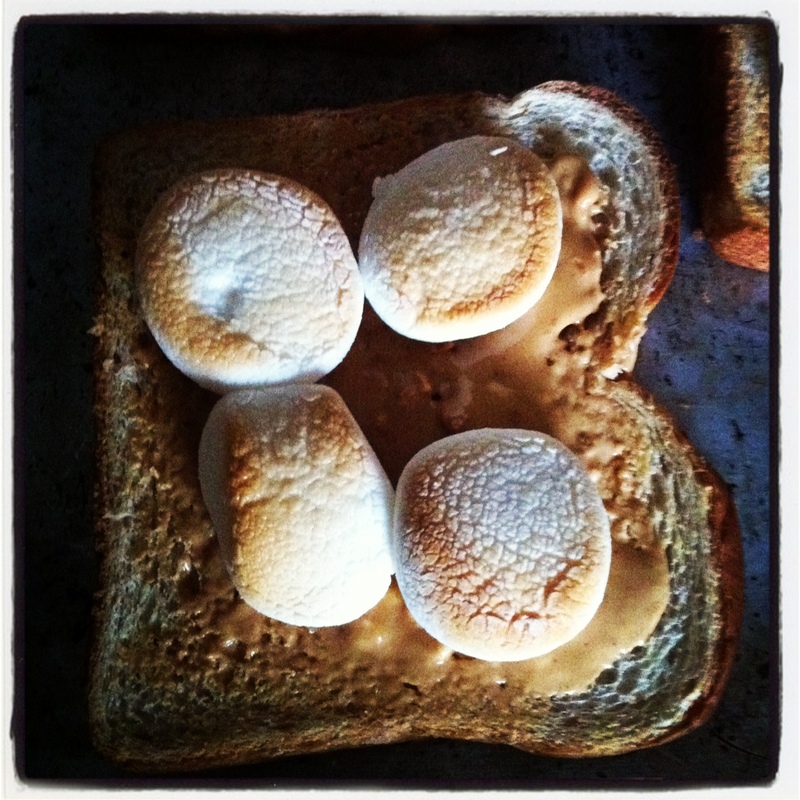 Ingredients are simple — bread, peanut butter and marshmallows. Toast until toasty. Wipe sticky mess off happy little faces. Um... YUM. 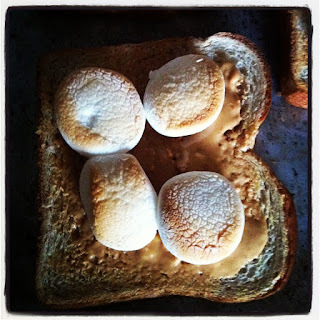 And now I have a new idea for s'mores. Add PB! Next camping trip. Yes.